Diamonds have no intrinsic value beyond their scarcity and so the discovery of new diamond mines in 1870 caused existing diamond producers to band together and form a cartel called De Beers. De Beers relentlessly exploited the latest advancements in mass media such as motion pictures and televisions by having stars and idols market the diamonds for them. The British Royal Family was used to foster the romantic allure of diamonds. 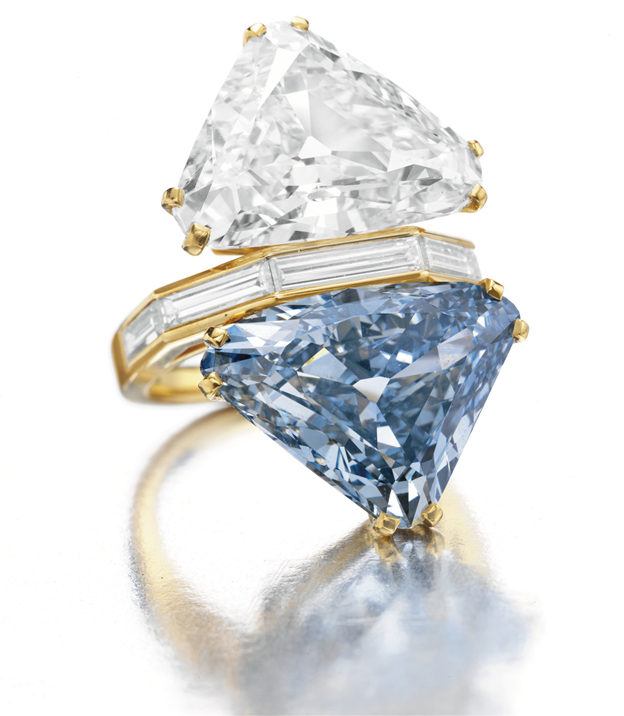 De Beers associated their diamonds with unique works of art made by artists such as Picasso and Dali to emphasize that their products were unique and invaluable. Lecturers visited high schools and gave talks about diamonds and engagement rings, guiding the romantic expectations of millions of young girls around the United States. Newspapers were provided with descriptions of the latest diamonds worn by movie stars in an effort to enhance the desirability of the diamonds. After successfully penetrating the American market De Beers looked to expand its reach to other countries. Its initiatives in Japan were the most successful. The cartel managed to overturn 1,500 years of Japanese wedding tradition by associating diamond engagement rings with a modern, western life. To read more about how DeBeers worked with the Soviet Union to sell African diamonds to American women, why thieves are likely to avoid stealing them, what the Great Diamond Crash might look like, and the subtle psychology reminiscent of Victorian-era novels that is involved in the gift of a diamond from a man to a woman, read the entire 7 page report here.